Girlfriends. They make life a little bit softer. They get you. They are there for you; whether you need a good cry, or just a good venting session. 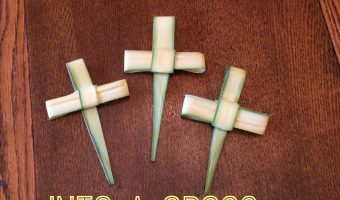 So why not celebrate romantic love during Valentines Day, as well as friend love during “Galentines Day” this year? 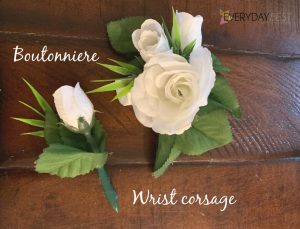 It’s easy to pull together a fun get together just for your girlfriends. 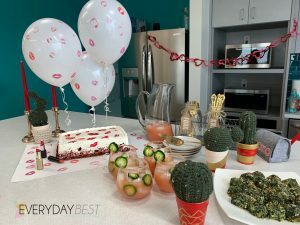 Here are a few ideas for throwing your very own Galentines Day Party! 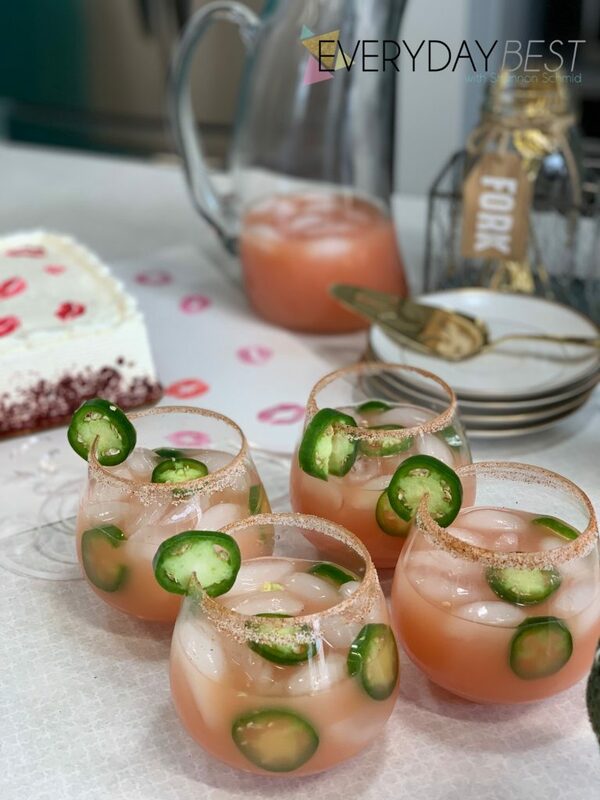 A Great “Galentines Day” Soiree needs a signature cocktail or mocktail! 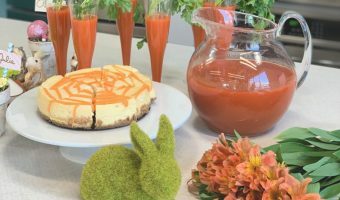 You can find other great recipes for drinks and food at my friend Chastity’s blog – A Cowboys Life! 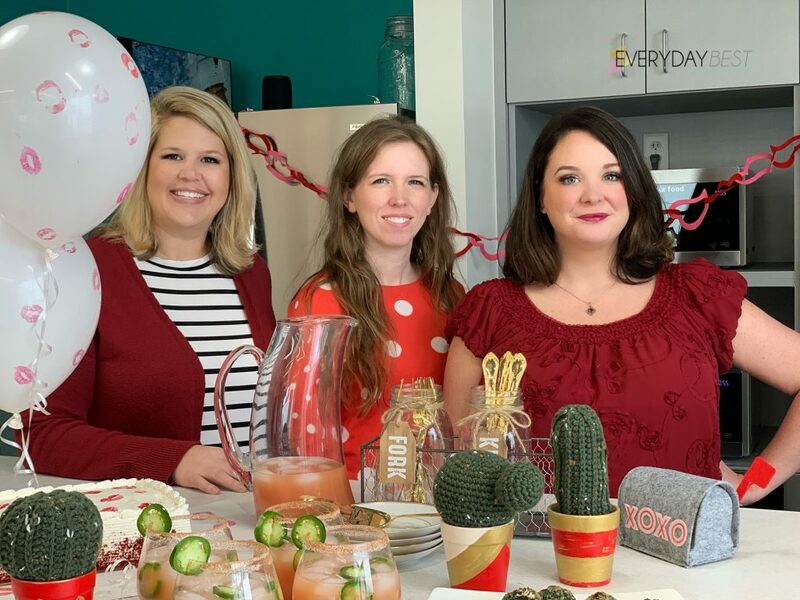 It’s not a Valentines Day Party – it’s a “Galentines Day” Party! So why not have Finger Foods with a slight anti-Valentines Day theme? 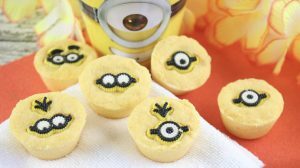 Great Finger foods are party essentials. 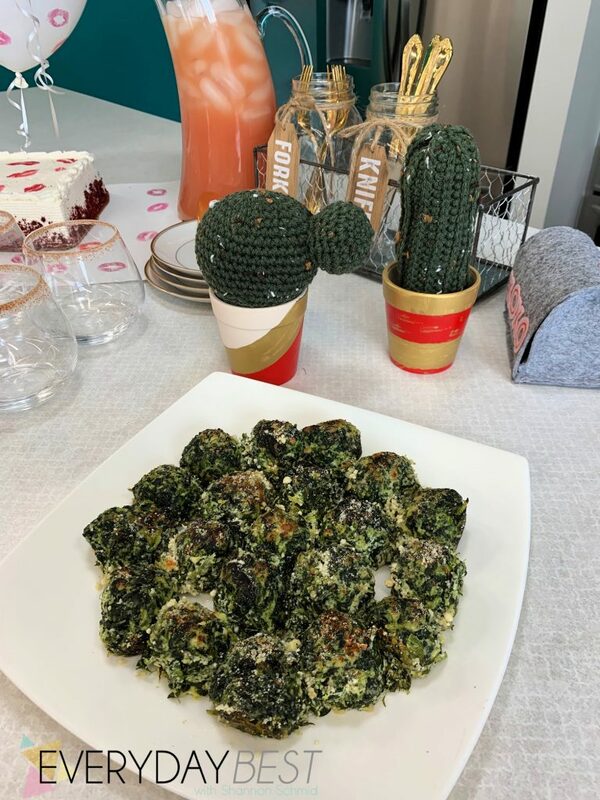 These Spinach Gnocchi Balls are full of garlic and spinach – items you might not choose if you were on a romantic date! But when you’re with girlfriends, who cares if you get spinach in your teeth? You just care if the food tastes GOOD! Garlic breath be damned! 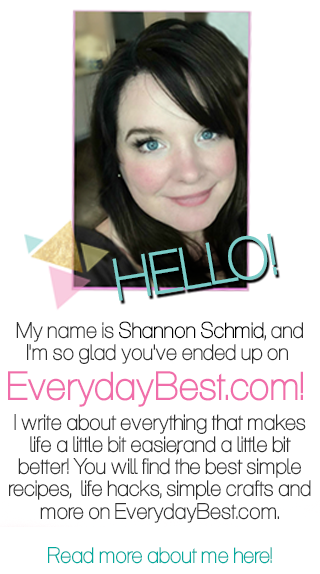 Find more scrumptious eats at MamaChallenge.com where my adorable girlfriend Autumn writes about food and lot’s more! 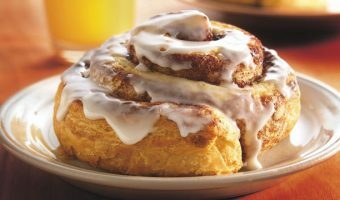 No soiree is complete without dessert. That is basically a rule, right? 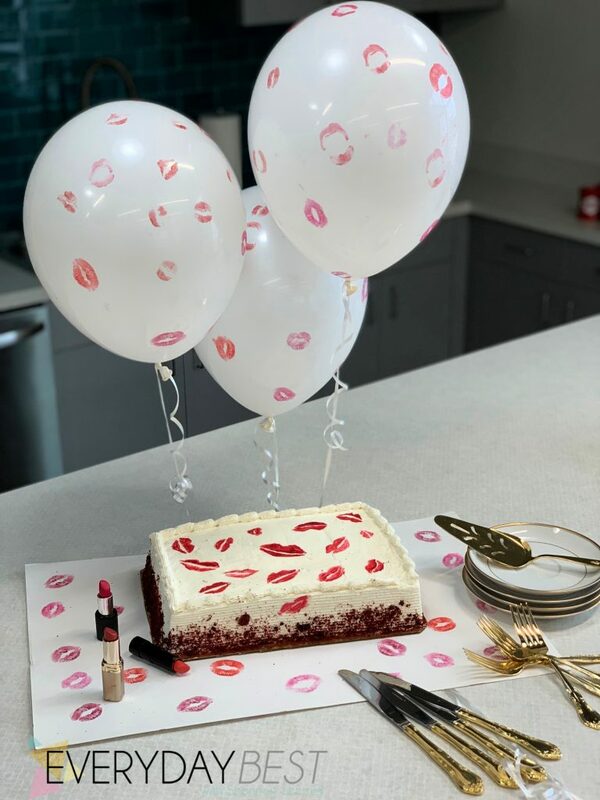 Why not have fun with a Galentines Day Cake that is all about girly makeup and kisses? 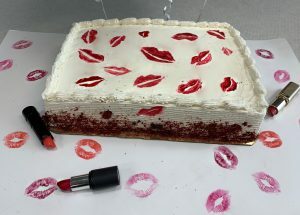 This Red Velvet Kiss Cake is ready to be devoured! 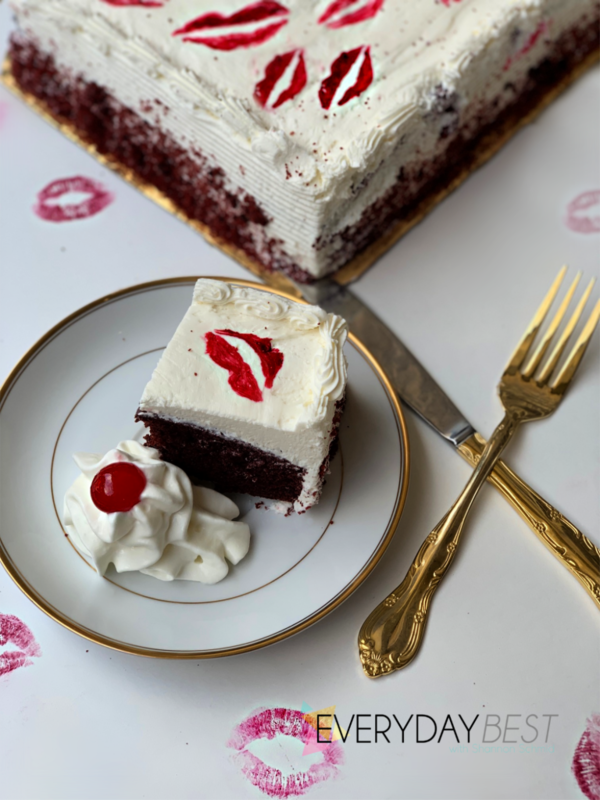 You can find out how to make those perfect kiss marks on your frosting, and ideas on Kiss decor on this Red Velvet Kiss Cake Recipe post! Every party has to have a great party favor. Well, what could be better than a plant you don’t have to water? 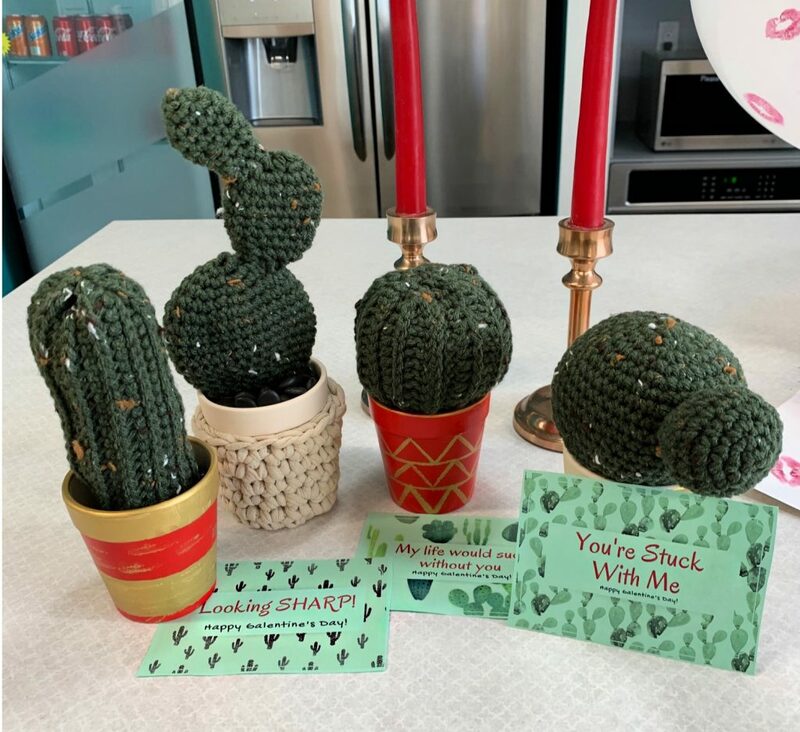 Enter these adorable knit cactus and succulent plants! These fun Galentine’s Day Succulent Gifts are so much fun! With slogans like “Looking Sharp! and “My life would Suc without you” – your girlfriends will laugh and know you love them! Get it? Suc? Like succulent? Ha! Happy Galentines Day! I hope you are surrounded by great friends that love you, this Galentines Day – and every day! Red Velvet Kiss Cake Recipe Welcome fellow #UBP13 Party-goers! 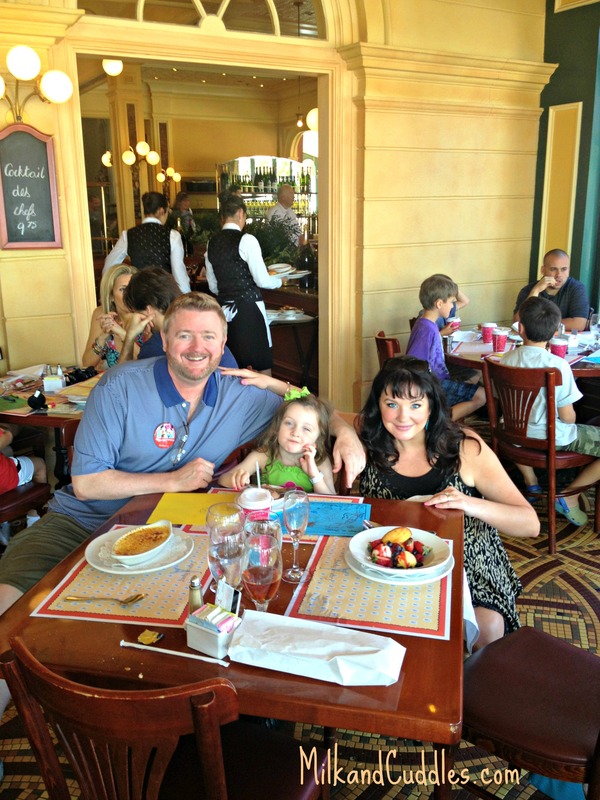 Our #DisneySide Valentines Day Party! 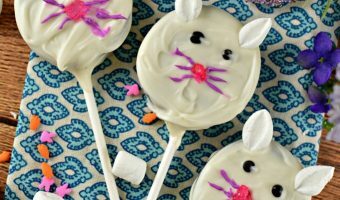 Harry Potter Birthday Party Ideas! Obsessed with the succulents that is SO adorable. And I wouldn’t kill it! CLUTCH!! !